The 2014 shooting death of Michael Brown, an unarmed black teenager, by a white police officer in Ferguson, MO, ignited a movement focused on criminal justice, race relations, economic disparity, and many more inequalities. Among the many newly recognized leaders in the movement were St. Louis area clergy. Seminary professor Leah Gunning Francis was among the activists, and her interviews with more than two dozen faith leaders and with the movement's new organizers take us behind the scenes of the continuing protests. Ferguson and Faith demonstrates that being called to lead a faithful life can take us to places we never expected to go, with people who never expected us to join hands with them. 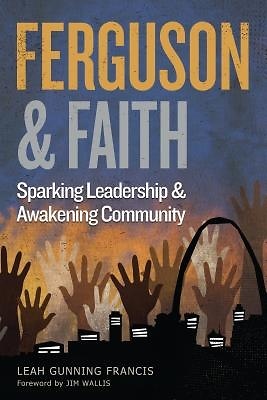 Ferguson and Faith: Sparking Leadership and Awakening Community is the first book from the partnership of the Forum for Theological Exploration and Chalice Press.